AKA: Paw, How do you do? Some dogs are naturally "handsy" and will paw at you when frustrated, this works to our favor when teaching the dog how to offer his paw on cue. 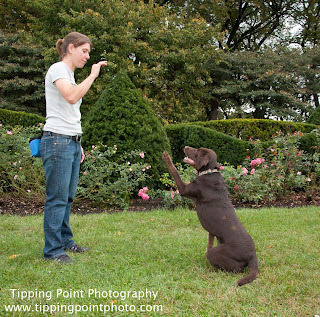 Place a high value treat into the palm of you hand, then close your fist and offer it to your dog. It helps if the dog is in a sit, but it's not required. When you dog gets frustrated enough he will paw at your hand. The moment that he hits your hand, click and open your hand to give him the treat. Do this a few more times until he has the routine. Now cue 'shake' then present your hand, click, open and reward. Do this a few more times and then remove the treat from you hand, rewarding with the other hand or going into you pocket to get the treat with the hand he just hit. By saying the cue first, then presenting your hand, you will be able to transfer to a flat hand sooner. 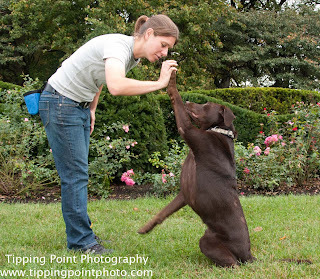 Once you have 'shake' on cue simply switch your hand to the high-five position and using the new cue, old cue technique, ask your dog to 'high-five' followed by 'shake'. Do this for a few repetitions, then just ask for a high-five without the shake cue and see if he does it. If he does then you don't need to continue to pair the cues together. Wave is a 'high-five' with your hand out of reach. Again here we are going to use the new cue, old cue technique. 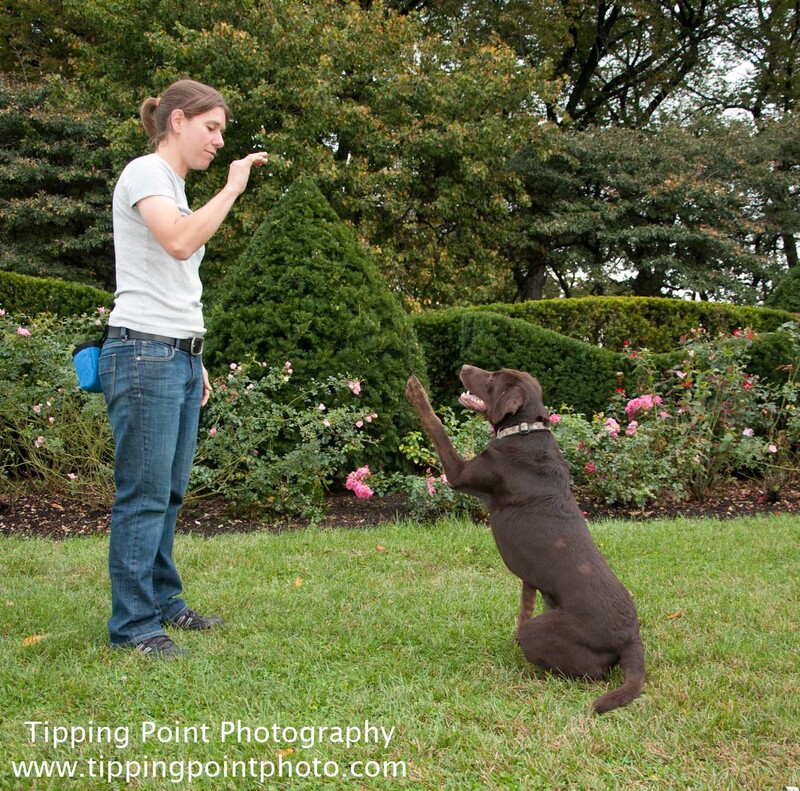 With your hand slightly out of reach cue your dog to 'wave' followed quickly by 'high-five'. Don't be surprised if your dog tries to stretch to meet your hand. If your dog jumps up to meet your hand, then your hand is too high or if he gives up after a few attempts, move your hand closer to make it easier. You may slowly increase the height and distance away from the dog when you no longer need to cue 'high-five' when asking for 'wave'. 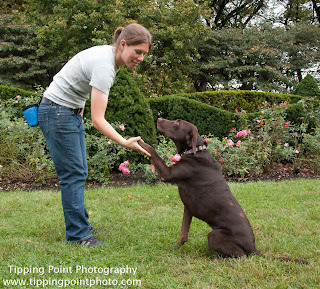 If you want your dog to be able to do wave on a verbal only add a beat pause between the verbal and the hand signal.